Join us for a festive and magical candlelight walk for all the family through the beautiful Denbies Wine Estate near Dorking, Surrey. The walk will follow the elves on their magical trail through the Denbies Vineyards to find Santa. 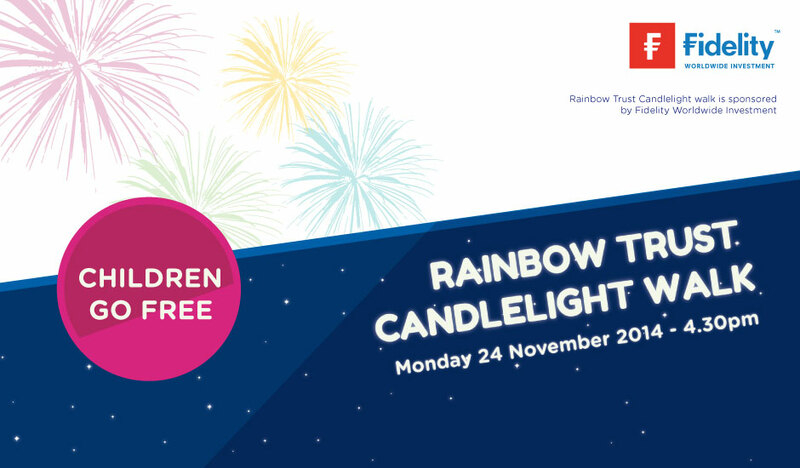 It will be a time for reflection, remembrance and celebration of the children and families supported by Rainbow Trust Children’s Charity. Join us for just a £10 donation per person which will help us care for more families with a seriously ill child this Christmas. Children go free.